A blog devoted to the paper crafting madness of a college professor who doesn't really have time to craft, but does it anyway. I discovered a cool paper project that connects paper crafting with pen pals it's called pocket letters. Apparently, this has been a thing for several years, but it's completely new to me. 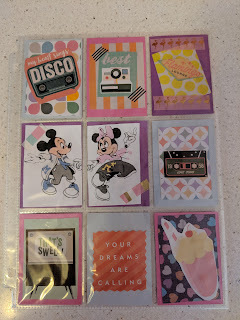 You take a trading card sheet that contains 9 slots. Then, you fill each slot with mini cards. You might have a particular theme such as retro days, cats, Harry Potter, etc. You might use photos, stickers, washi tape, tags, ribbons, or whatever other crafting goodies you have around the house. After you've make your pocket letter, you fold it up to fit in a letter-sized envelope and send it off to a fellow crafter. That crafter sends you back a pocket letter in return. Often these darling collections include a few crafting supplies for the recipient such as some washi tape samples or stickers. This is my first attempt at a pocket letter. 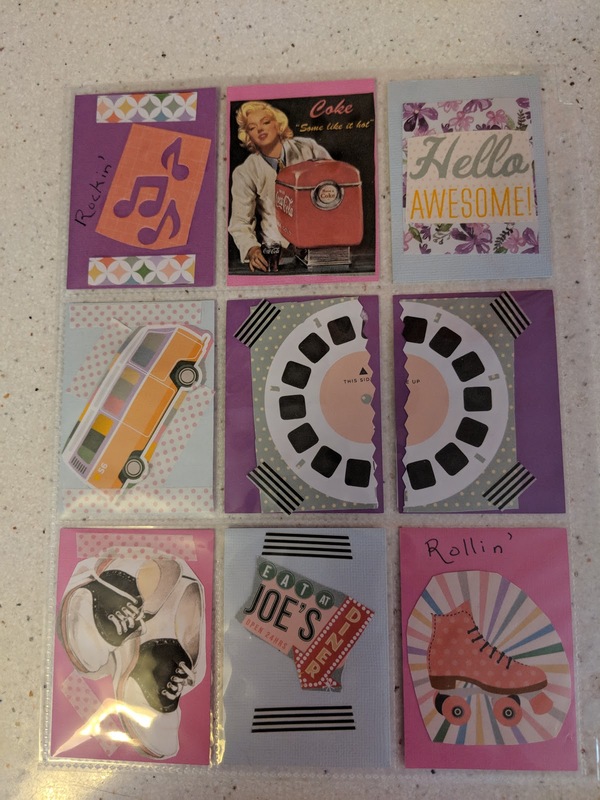 I went with an all-things retro sort of theme. I didn't include crafting goodies in the pockets. Instead, as I folded up the pockets, I included a letter about myself along with a few package labels, a couple of stickers, and a bit of washi tape. I posted a photo of one side of the pocket letter to a crafting group on Facebook and asked for someone to swap pockets with me. I found a taker within 5 minutes. Hopefully, that means that my first attempt isn't a total disaster. I'm still learning. I can't wait to see what I receive in exchange. I hope to start a collection of these pocket letters. This seems like a fun crafting project that I can continue to maintain even when my workload is heavy. As I fold and crinkle, glue and tape, my fingers become wounded soldiers in a colorful world. 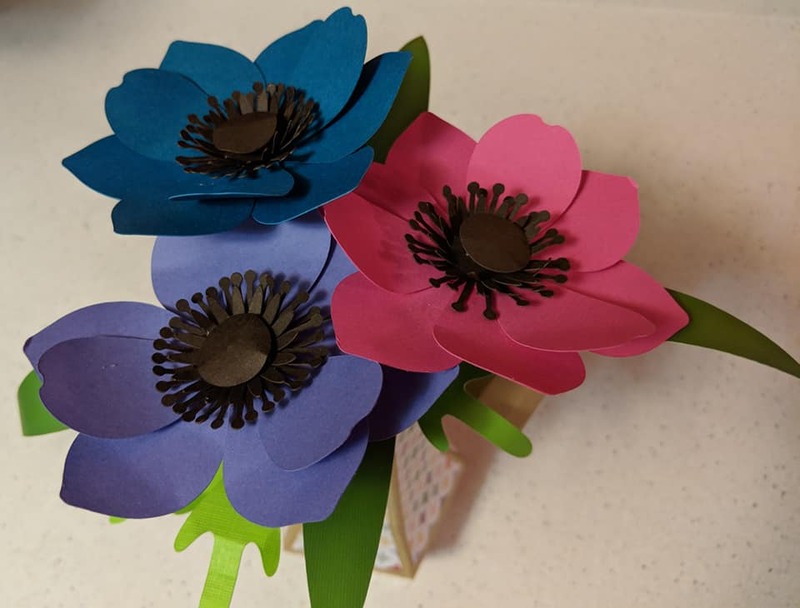 The blog is devoted to my love of making paper crafts, whether it be handmade cards or 3-D flowers. For my day job I grade a different kind of papers. I teach journalism and ethics to college students. My paper crafting craze is my other life. Sometimes it's the place where I go to celebrate the successes of the real world. Other times it's the place I go when I just need a little escape. I'm a journalism professor with a love for furry critters and paper crafting. My assortment of colorful paper has gotten a bit out of control.